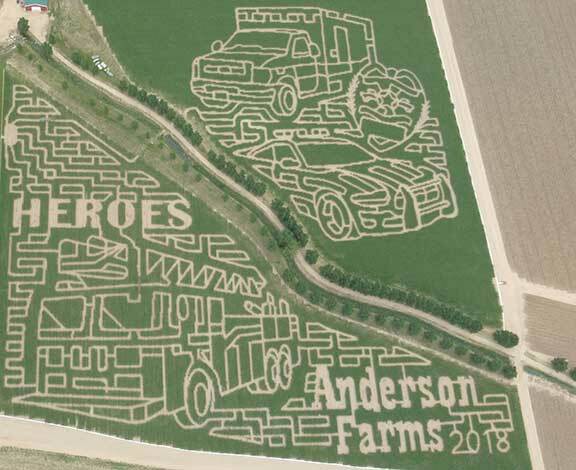 Anderson Farms will have First Responders visiting the farm for meet and greet from 12:00 PM – 4:00 PM on Saturday, September 29th. Members of Law Enforcement, Fire, EMS and 911 Dispatch will get Free admission for themselves plus ½ price for family members for September 28th – October 4th only. This offer is only available at the ticket window with a valid ID. First Responders can receive $2 off admission with ID at the gate all season long.